This is an extremely poor community located in the heart of San Pedro Sula. Built on the banks of the local river, it is home to thousands of families who are living in extremely difficult situations. It is a place full of people that have been largely forgotten, even by those living in the city. Despite all the hardships they face, the community of people are hungry for God’s Word, and the Lord is transforming many lives here. Sparrow Missions values this place very dearly and spends several days each week ministering to the women, children, and youth of this community. Weekly discipleship classes are hosted for women, many of which are single moms that have been left behind by absentee husbands. The classes began as an evangelistic opportunity, but has transitioned to disciple-making as God has saved many of the women. 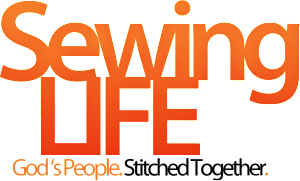 Several of the women also participate in Sewing Life, which is a sewing based ministry started in 2010 that seeks to use the trade of sewing to help women fight poverty, while also seeing God’s provision for their lives. The Bordos is also filled with beautiful, energetic children whose needs are quickly evident to the eye. Sparrow Missions has been blessed with tremendous local staff members who host weekly children’s Bible studies and tutoring classes. Many of the children have never attended school or find themselves very behind, so Sparrow Missions began an educational assistance program called Sponsor a Sparrow with the intent of helping give children the opportunity to attend school. Lastly, Sparrow has started a soccer ministry in the Bordos, called Sparrow FC (Football Club), which uses the country’s love of futbol to connect with the older youth boys of the community. Many of these boys have limited or no education and are on a career path that often leads to drugs and gangs. Instead, Sparrow FC offers them a spot in a brotherhood that is founded on Christ and uses the game of soccer to teach them the game of life. Weekly bible studies are hosted for the group, which are often followed by soccer games. Each of our missionary teams will plug into one or more of these Bordos ministries. Whether it is helping host a weekly Bible class, serving in the sewing clinic, helping with tutoring, or hosting a soccer camp, our goal is for each of our missionaries to share the love of Christ with this community. Surveys show that the path these children are on at the ages 0-13 is the path that they will remain on for the rest of their lives. Our dream is to see them following the Lord and live lives worthy of the Gospel. “Ministerio Vida” is a men’s rehabilitation facility that has the goal of restoring addicts through the Word of God. The ministry is home to about 50 men who likely have been homeless or living on the harsh streets of San Pedro Sula. The men enter the program voluntarily and reside on the campus as they participate in a very informal recovery program. The facility is limited in resources, and there are no professional counselors on site to assist the men, many of whom struggle with severe periods of withdrawals. As a voluntary program with limited resources, the ministry faces some real obstacles to keeping the men actively committed to the program. The first phase of the program limits each addict’s ability to leave the campus, yet there has historically been very little for the men to do with all their spare time. While almost every man who enters the ministry truly desires to conquer their addiction, many leave during this early phase of the recovery program, as they sit and fight the emotional effects of their addiction, boredom of idle hands, or the withdrawals that feel unbearable. God has provided some very unique and incredible opportunities for Sparrow Missions to serve and partner with this ministry. In December of 2012, Sparrow helped start and construct a carpentry workshop at Ministerio Vida, with the goals not only of providing the men with an opportunity to learn a skill they could use long-term, but also something to help them fight the harmful effects of idle time. The men at Ministerio Vida no longer just come here and receive rehabilitation–they also have an opportunity to learn how to be a carpenter, just like Jesus was. The results have been amazing, as the guys have quickly begun making tables, chairs, beds, and, more recently, even guitars! Ephesians 2:10 says that we are God’s “craftsmanship,” created by Him to do His work. Our prayer is that each of these men will realize the truth that God has crafted them for so much more! In addition to the carpentry workshop, Sparrow Missions hosts weekly Bible studies with the men. More recently, they have been blessed with the opportunity to have the young men of Sparrow FC join some of the studies, where they get to see and hear testimonies of men overcoming the pitfalls of drugs, alcohol, or crime. Sparrow spends time multiple days each week at Vida, and each of our missionaries will have the opportunity to serve these tremendous men. Our prayer is that God would use our staff and teams to keep each of these men in rehab long enough to be completely clean and form an intimate relationship with Christ. In 2013, Sparrow Missions purchased a beautiful five-acre property in a mountainous Honduran farming community called Santiago that will serve a Children’s Home for orphaned children. Santiago is approximately twelve miles from the Caribbean city of Tela and about 45 minutes outside San Pedro Sula. Our dream for this property is a “Family-Style” children’s home. Many children’s homes or orphanages are constructed with only maximum capacity in mind. Our focus will be different–family first. Instead of a building a large dormitory that can hold as many children as possible, we will be creating multiple, smaller, cabana-style homes inhabited by a maximum of four children and one house parent. They will eat their meals, do their homework, and share their lives together in these houses. The goal is to create an environment for each child that will show them what a real, loving, Christian family looks, feels, and acts like. The property already has an existing house on site, which we hope will serve as the starting home for our first newborns sometime in late 2014! The Hospital Nacional Dr. Mario Catarino Rivas, which opened in 1989, is the largest medical centre in Honduras. It is often called the “Metropolitan Hospital” and has been open to the public since 1990. The hospital is named after Dr. Mario Catarino Rivas, a prominent physician who devoted his life to promoting humanitarian values in medical care without making distinctions among patients. The hospital provides a wide variety of medical services, but struggles financially in terms of equipment and resources. As one of the few public hospitals available, families often travel several hours to reach the hospital and basically live day to day while they await results. Sparrow Missions’ ministry here is very simple. We visit the hospital to pray for the needs of the sick and poor. We visit patients in the maternity, children’s, and cancer sections with the intent to encourage and comfort them. We often will take water and snacks for family members, many of which have spent days waiting to hear results. We will spend time coloring with kids or handing out little toys. It’s a simple showing of God’s love to people He loves so much who are in great distress. Matthew 25 makes it clear that “what we do for the least of these, we have done to Him.” There is no need to make it more complicated than that. The Asilo is a nursing home located in San Pedro Sula that houses as many as 100 elderly men and women. The home is operated by the Municipality of San Pedro Sula, which is responsible for staffing the facility and covering building maintenance and utilities costs. Food, clothing, and medical supplies are provided solely by donations from private, religious, and educational institutions. Some medications are donated by drug companies, doctors, or pharmacies, and most are medical samples. The vision of the home is to foster an environment of love and warmth, while providing care and relief to each resident as they age. Unfortunately, most of the residents have very few or no visitors, and, in most cases, they have been forgotten by the world or even their own families. The staff, while loving and caring, is severely lacking and often not paid on a timely fashion by the city. Sparrow Missions sees an opportunity to encourage and fellowship with these sweet people and their staff members. Staff members and many of our short-term teams spend time serving at this home. Our goal is simply to be with the residents, hugging, dancing, or just listening as they share life experiences. Teams generally bring some sort of snack and close with a time of worship and Bible teaching. Sparrow House is a rehabilitation center for adult men suffering from addiction to drugs and alcohol. We are located in Tela, Honduras. The goal of Sparrow House is to reach the lost, and remind them they are not forgotten by God or His bride. Sparrow House offers a 7 month treatment program full of Discipleship, Education, and Restoration. Men at Sparrow House receive classes twice a week in Celebrate Recovery, learning the 12 steps in a Christ-centered environment. They continue to grow through fellowship in small groups, talking through their “hurts, hang ups, and habits” with their brothers in Christ. Sparrow House also offers on-the-job training in the Sparrow House Builders Workshop. Men receive training in their field of choice and work several days a week on site. We currently offer training in carpentry, welding, electricity, and refrigeration tech. Men are discipled one-on-one in their individual workshops, while learning a viable new career and keeping their mind occupied. All funds made at the workshop go directly to our scholarship fund. We are highly passionate at Sparrow House about introducing everyone to Jesus Christ. By introducing a man to Jesus Christ, a generational impact is made that ripples down throughout his family. Each man interned at Sparrow House must pay a small monthly fee to cover food, utilities, and hygiene products. 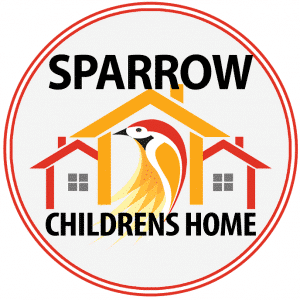 We never turn anyone away because of money, and those that can not pay are given a scholarship for their time at Sparrow House. Scholarships are paid for by profits of the Sparrow House Builders Workshop and by generous donors who wish that every person would know that Not One is Forgotten By God.